Fig. 1. 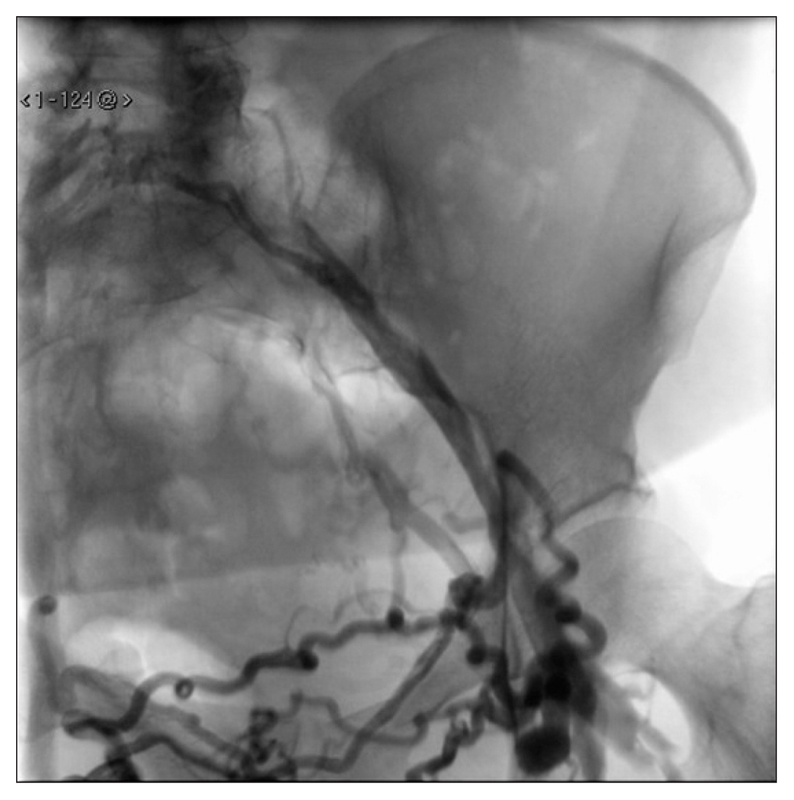 Ascending venogram shows chronic left iliofemoral vein complete obstruction, draining through pelvic collateral.